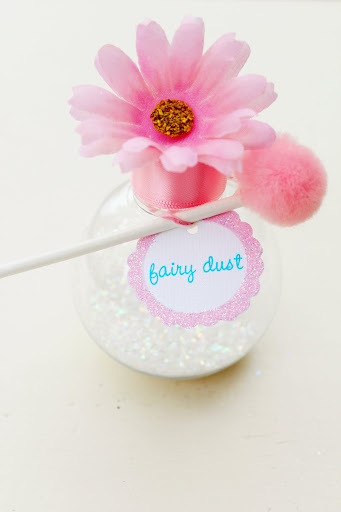 Now, what "fairy party" would be complete without fairy dust!?! 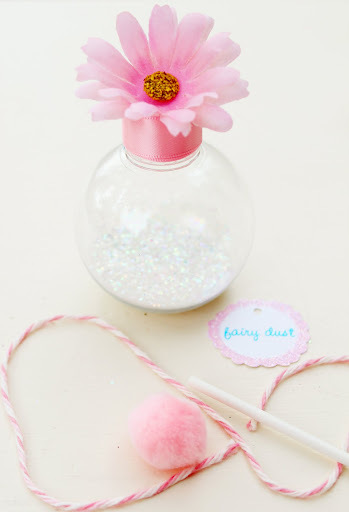 We just loved making these little fairy pots filled with glitter and a little fairy duster! The little girls where literally enchanted when they were handed their very own fairy dust! Annabella, Kellie's oldest daughter even gave each girl a little "dusting" as they ran around outside with their wings and ribbon wings! We think they started to believe they were all really fairies...it was so sweet! 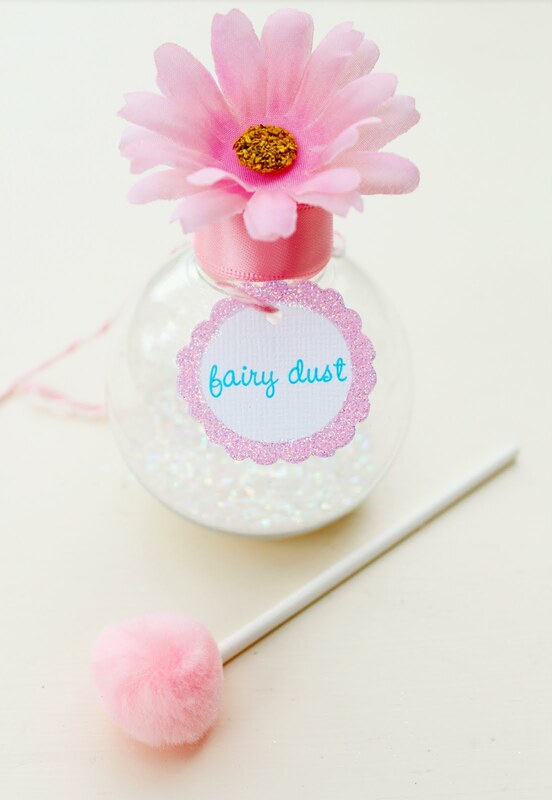 This project is so simple and is so worth it to see the look on the little girl's faces as they receive their very own fairy dust! 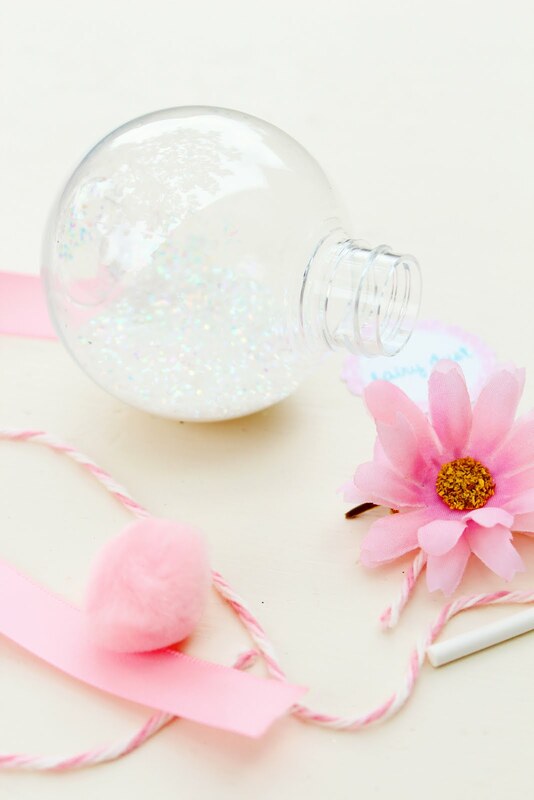 Take your jar and fill with the course glitter (we just filled a little less than half way up). You may need to create a little funnel out of paper just to keep the glitter from going all over. After you place the cap back on take ribbon (color of your choice) and wrap the cap. Just put a dab of glue toward the back to hold the ribbon in place. Next take the flower and hot glue it on to the top of the ribbon covered cap. 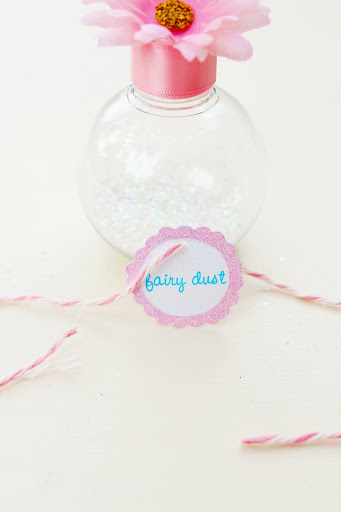 Punch a hole in your tag and string your bakers twine through. The just tie the tag around the top. 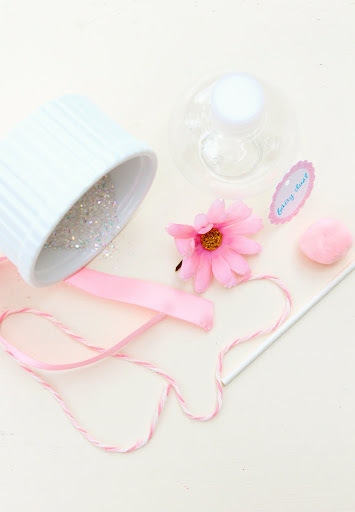 Hot glue your mini pom pom onto your lollipop stick to create a little duster. Finally just stick your duster under the twine so it is secure. Then your little fairy dust pots are complete and ready to be in the hands of your little fairies! 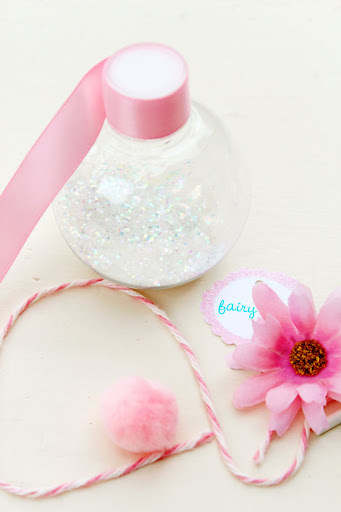 So darling! 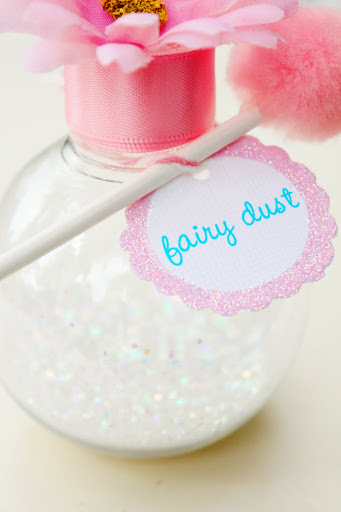 If I were a little girl, I'd go to town with this on all my friends! OMG SO SO SO ADORABLE!!!! I want one too! Adorable! I'm planning a party for my daughter later this month. I'm using several of your ideas. Thanks! Is there anywhere else that I might be able to find those plastic bottles for the pixie dust?? I love your blog! 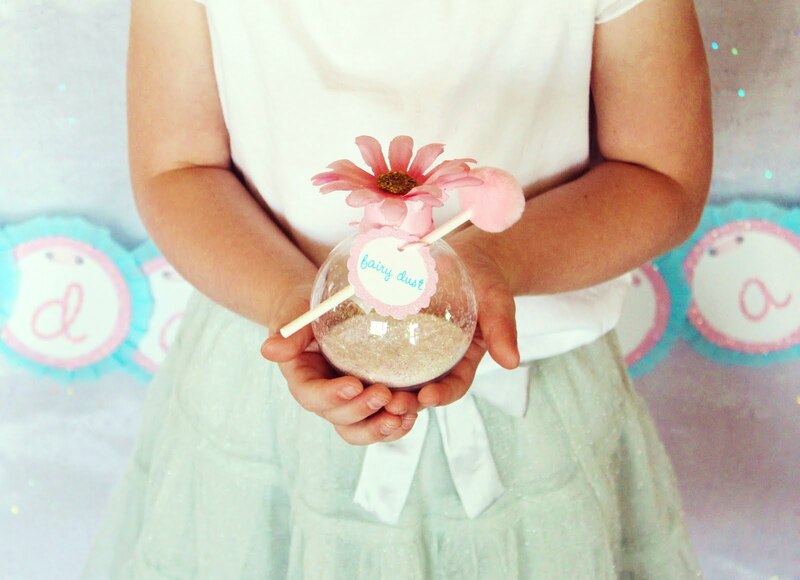 I made these wands for my daughter's party and featured them on my blog. There is a link back to you as the inspiration. I hope you will check it out. I was definitely inspired by your beautiful work!!! can someone tell me what course glitter is in german?